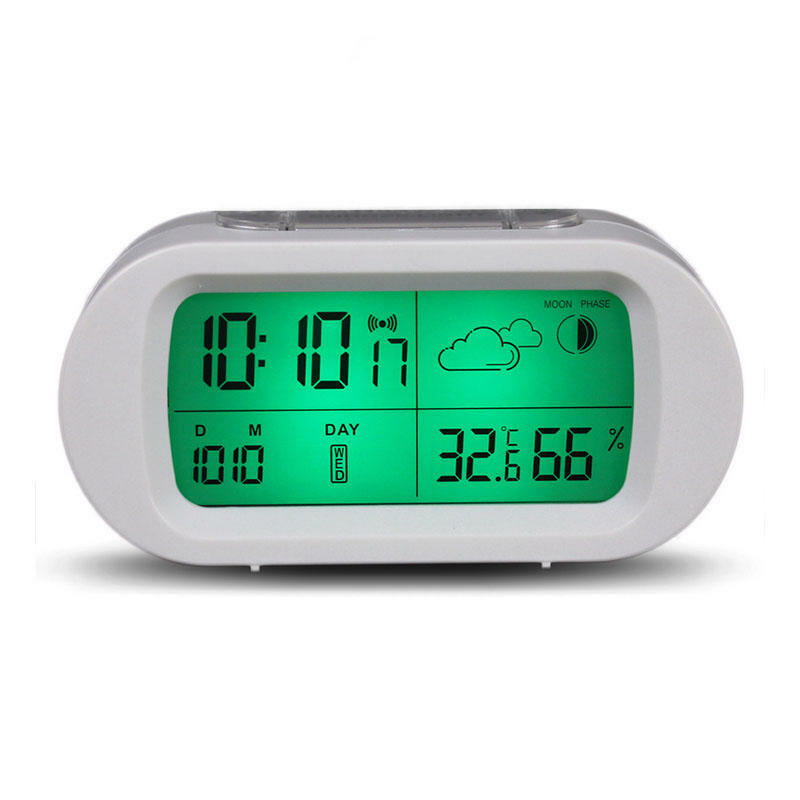 The product is a alarm clock with time, humiture, date, weather display gives you the information you want to know. 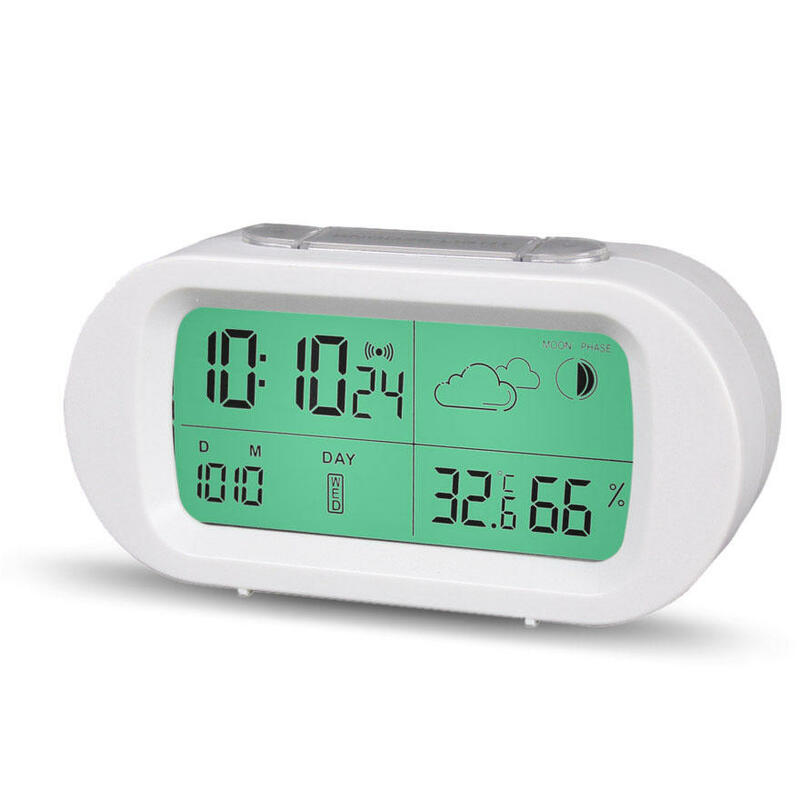 1-20 Minnute Snooze Time Mode, no worry about oversleep, the clock can ring out to remind you after you press "snooze" button. 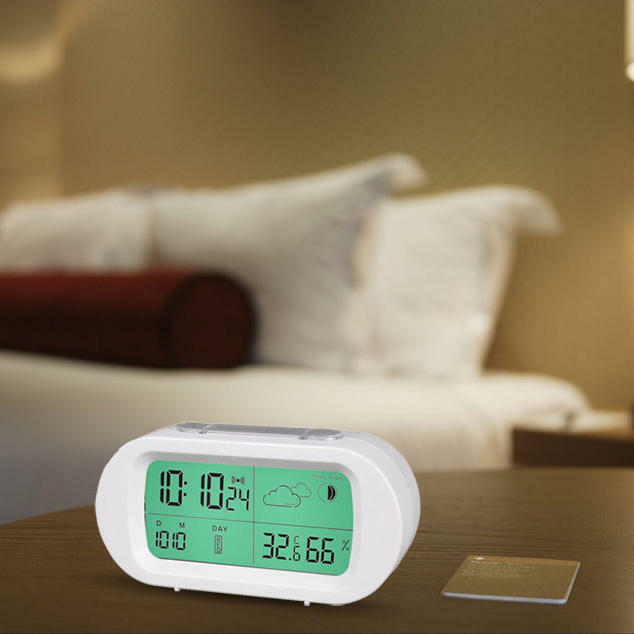 Crescendo Ring out & Easy to Turn Off, just press any button, you can turn off the ring easily.